Since we’re out here traveling the West Coast, I wanted to introduce an awesome beach lifestyle brand, Amuse Society. The look is part beach, boho, and rocker chic, and combined it makes for one heck of a collection! Since getting this vegan leather jacket I’ve pretty much paired it with everything! From girly dresses, to jeans, it adds the right amount of edge to any outfit. I paired the jacket with their vice shorts, which are fabulous because of all the stretch they have and their flattering high waist. 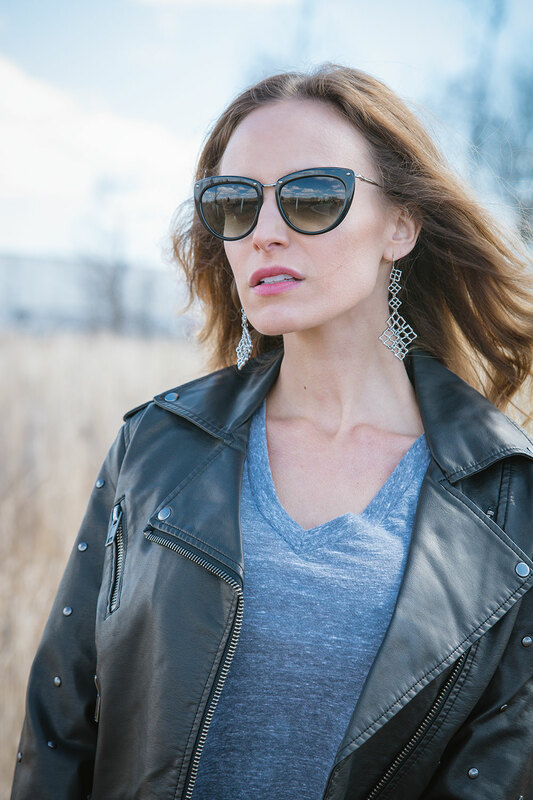 A t-shirt from Target, my go-to Shop Riff Raff gray booties and sunglasses from D’Blanc completed this look. The finishing touch was their boho-inspired clutch for only $38! I love the pattern and the fringe! I love Amuse Society and I hope you’ll love their collection as much as I do!